UCONN Drumline gets FIRED UP! 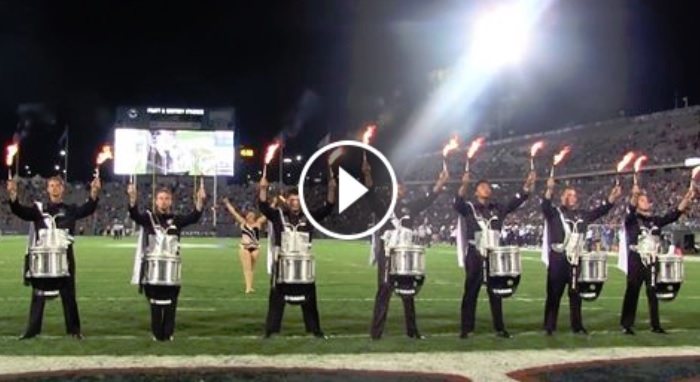 The UCONN drumline wowed us last year with a drumline performance that included drum sticks on fire and some sick beats. They decided that there was no better way to start the year off than to do it at the first game of the 2016 season and they were correct. Don't worry band moms, no one was hurt. Share so all fans can enjoy.